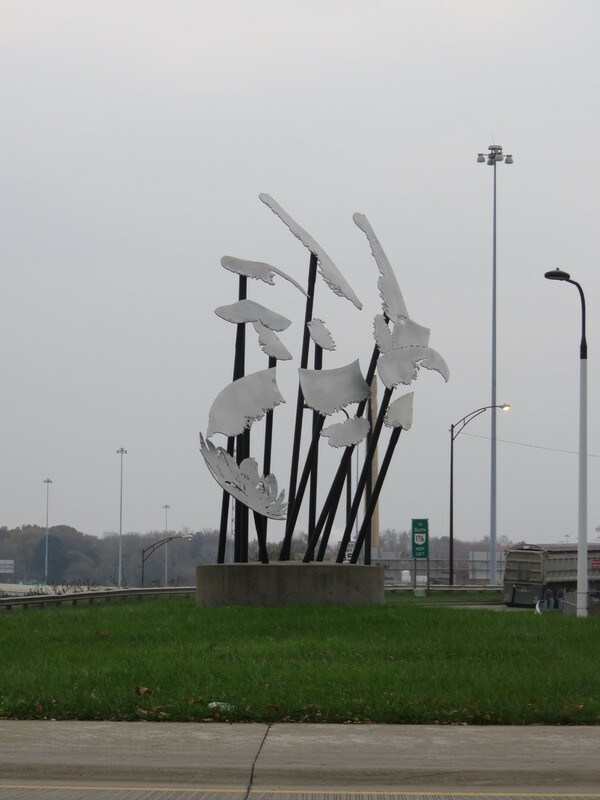 A galvanized steel sculpture, chosen out of 10 submissions to stand on the Quigley circle roundabout. The sculpture depicts the hand of the Hindu Lakshmi rising out of a lotus flower. The goddess Lakshmi is believed to be the most beautiful in the Hindu pantheon. The goddess of wealth, fortune, and prosperty, the presence of her image is often related with established success or hope for future success. She is often depicted with a lotus flower, which is a symbol of purity and perseverance because its beautiful blooms are unstained by the muddy waters in which it tends to grow. 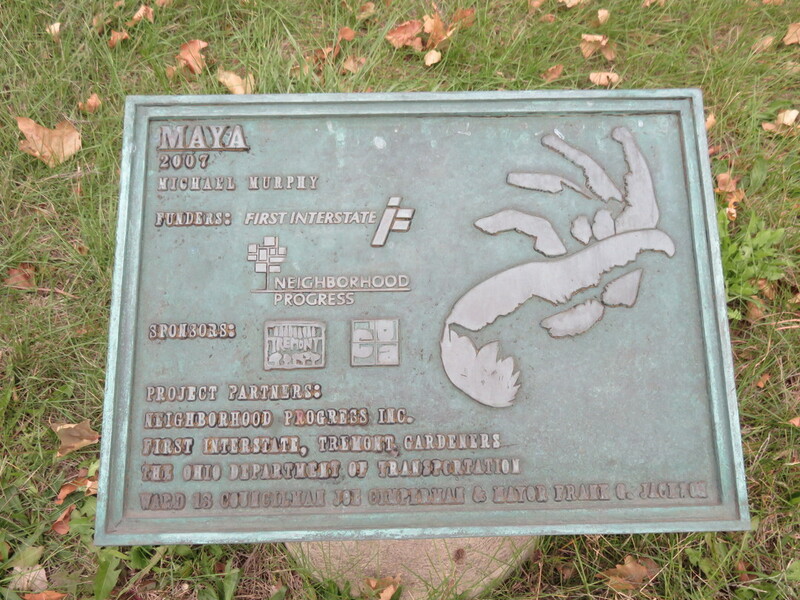 Erected prominently off the exit of a major freeway, Maya alludes to Cleveland's past fortune to inspire hope for some sort of renaissance. Murphy's use of galvanized steel hearkens to the city's once-prosperous steel industry whose booming furnaces once roared where the neighborhood of Tremont now stands. In more ways than one, Cleveland today is akin to the lotus flower. Having risen from the muddy waters that were the decline of the steel industry and ensuing spikes in poverty and degredeation, the flower is now beginning to bloom once again, as Cleveland experiences a sort of rejuvenation. Murphy expertly makes full use of relationship between the location of the sculpture and the images he chose to incorporate. The true impact of much of Murphy's work is only revealed from a certain angle. Pieces like his Stephanie Tubbs Jones in Cleveland are only recognizable as representative art pieces from straight on. This is true of "Maya" as well. Situated on a roundabout, drivers are not simply able to circumnavigate the sculpture-- it is an action that is both implied and necessary. 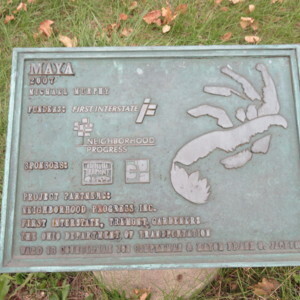 : Michael Murphy, “Maya,” Ohio Outdoor Sculpture Inventory, accessed April 20, 2019, http://oosi.sculpturecenter.org/items/show/1530.